A medical marijuana patient in Ingham County is facing three days in jail for testing positive for marijuana. Livingston Thompson uses medical marijuana as a treatment for epilepsy. Judge Richard Garcia ordered Thompson to stop using marijuana as part of a child custody case. But Thompson recently tested positive for marijuana, and the judge Tuesday ordered Thompson to be jailed for contempt for three days. Matt Newburg is Livingston Thompson’s attorney. Newburg plans to ask the Michigan Court of Appeals to stay the judge’s contempt order. Newburg says Michigan’s marijuana law protects medical marijuana patients from criminal and civil penalties. The Michigan Supreme Court may soon hear its first case on the state’s medical marijuana law. Larry King of Owosso has a medical marijuana license from the state. 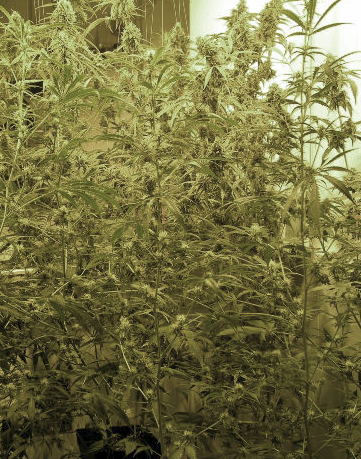 He was charged with a felony by the Shiawassee County prosecutor for growing marijuana in a locked dog kennel that did not have a roof. The Circuit Court dismissed the case, but the Court of Appeals reinstated the felony charges. Korobkin said Michigan voters approved the medical marijuana act to protect patients that were approved to use marijuana for medical reasons. “We’re representing him because the prosecution of a medical marijuana patient who is complying with the law is a gross injustice and thoroughly undermines the intent of the voters in passing the Medical Marijuana Act."